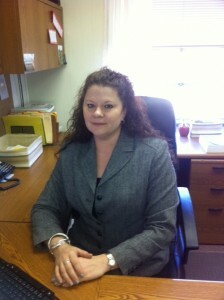 Dr. Shelby Haines is the Transition Specialist and Special Education Coordinator for Marshall County Schools. Following her graduation from Cameron High School, Dr. Haines attended Bethany College and earned a Bachelor of Arts degree in Elementary Education with a minor in learning disabilities and an endorsement in mathematics. She received a master's degree in learning disabilities from West Virginia University, an Education Specialist degree in School Psychology from Marshall University and a doctoral degree in Special Education Administration from West Virginia University. She also holds teaching endorsements in multi-categorical special education including behavior disorders, mental impairments, and autism.